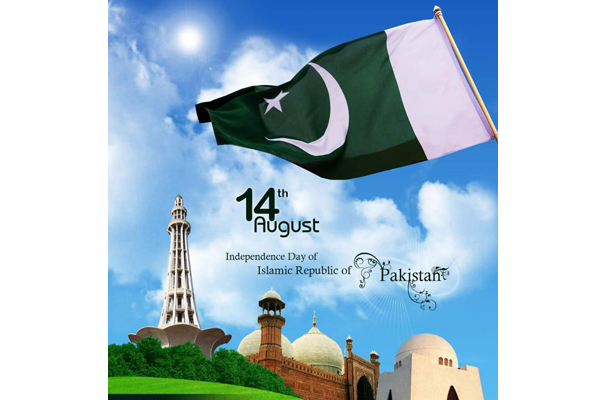 ISLAMABAD, Aug 12 (APP):Pakistani nation will celebrate 72nd Independence Day on August 14 with traditional fervor and enthusiasm and several religious, cultural and social activities will be arranged to mark the occasion. Special prayers would be offered before dawn for peace, solidarity and prosperity of the country and for the resolution of the long standing issue of Kashmir. Educational institutions have arranged art exhibitions, declamation contests, milli naghma competitions, tableau besides horse and cattle shows, folk music, stage shows, sports tournaments for children, exhibitions of fruits and vegetables have also been organized in villages, towns and cities. Local administration has actively been engaged in planning and execution of programmes to add strong local colours and flavours to the events. Government buildings would be illuminated to celebrate the independence day. Likewise, the services of Pakistan Movement heroes would also be highlighted through electronic and print media during Aug 14 celebration to pay tributes to their struggle for making Pakistan a reality. Majalis-e-Mazkra have also been organized at various places to highlight the significance of Ideology of Pakistan. Decoration of all major important roads and avenues with flags, banners and buntings has been planned to present a festive look by metropolitan corporation Islamabad and other organizations. Cleanliness drive in cities, towns and villages with active participation of NGOs and general public has been organized by provincial governments and other organizations. Islamabad Capital Territory Police/ provincial governments have finalized Traffic management plan for convenience and safety of general public. The government has encouraged owners of shops and commercial centres to keep their business open on August 14. Ministry of Information Broadcasting, National History and Literary Heritage has made elaborate arrangements to commemorate the Independence Day with national zeal and fervor. Pakistan Television Corporation, and ATV, run by Shalimar Recording Company would run special marathon transmission on the day while Associated Press of Pakistan has made elaborate arrangements for the coverage of events, seminars, discussions and talk shows in connection with the independence day celebrations. PTV had organized special campaign to celebrate Independence Day from August 1 to 14.The campaign not only celebrates the struggles of the past but also serves as a call for action to create a better future. country and our own potential to rise as one nation. The PTV will organise a full day thematic transmission on August 14.The live transmission will start from 8.00 a.m. till mid night. The segment of the transmission will be focused on the importance of the day. A special teleplay will be aired by the PTV to promote national harmony, peace, brotherhood among the public while highlighting significance of the Independence.The grand Flag Hoisting Ceremony will be televised live from all channels of PTV as per previous practice. The special show “Salam Pakistan” will be produced from President House, Islamabad. It will have special segments featuring youth and children highlighting the importance and sacrifices made for Independence. Famous national songs will also be the part of the show. It will be on aired on midnight of August 13. A special show will be produced depicting the efforts and achievements of youth of Pakistan which bring glory and fame for the country. The special quiz show regarding the history of Pakistan contested by the children of the, schools. A special all Pakistan Azadi Mushaira will be produced participated by the prominent poets of Pakistan. Five special documentaries produced by all centers of PTV depicting the scenic and cultural beauty of Pakistan would also be aired.